Describe your personal style in four words? Who are your style/fashion icons? Have you ever suffered from acne? YES! all my life! only now has it become somewhat tamed. If my skin is good, it puts me in a good mood. Do you ever find that? Definitely, if i have a good skin day then the people around me notice a difference in my mood. having suffered from acne my entire life it has a strain on your self confidence, ability to make friends & can drop your mood from happy to glum in the span of a second. Non existent! haha i am definitely not the person to come to for help on weight loss, diet & fitness. I love my sweets, chocolates & chips a little too much. If you could change anything about the way you look what would it be? A LOT! I know a lot of people wont admit to this, but I believe it is human nature to care about how people perceive them & everyone tries to present themselves in a certain way. hmm too many to name! one in particular is Miley Cyrus. I love her music & her show, I think what she has done for children is amazing. Though now she is try to re-create herself & the fact that she appeals to such a young audience is not a good mix! I understand as she gets older she wants to create a new image, BUT if your target audience and main followers are girls of such a young age, maybe you should reconsider what you do! Magazines do what they need to do to create sales. Though I think it is very un-fair on girls as they have a false notions on perfection. Too many girls try to be thin & superficial as this is what they have grown up with. Wow hard question! I have no idea, each have a very negative impact on the body and health! How confident in your own skin? The truth is I am a very self conscious person & have always struggled with self esteem issues and still do. It is an obstacle in life. Thank you to the lovely Holly for taking part in this interview. If you don't already, you should go Follow and Subscribe, she's such a lovely girl! 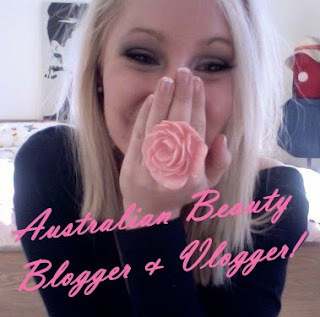 Feel free to message me if you have a blog up and running and would like to take part.